RUSH: Susie in Denver. Great to have you. I’m glad you called. CALLER: Thank you, Rush. Great to talk to you. RUSH: My pleasure. Great you’re here. 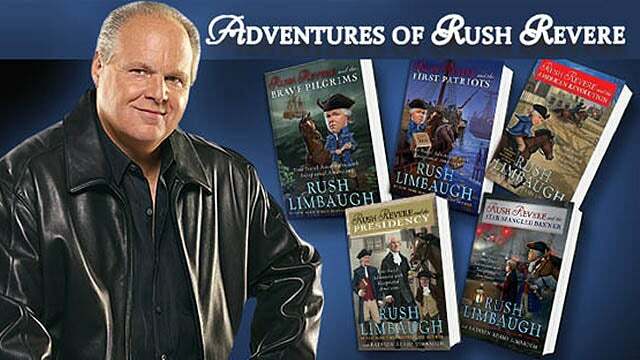 CALLER: I have a wonderful story to share with you and your listeners about the Rush Revere books. My daughter, who is in sixth grade at an elementary school, has read them all probably twice. She does book reports on them every year. And her librarian came up to me last week and said, “I heard your daughter reads and has all the Rush Revere books, and I was wondering if you would donate them,” ’cause she’s read them all, “because I’d like to have them in the library for the kids so they have access to them.” I was so shocked because she did tell me, you know, she’s a liberal. But she heard that they were good, and she wanted the kids to have access. RUSH: Did you believe her? CALLER: I was really taken aback. She said another mom had said, you know, her kid read one and that they were good. And I told her, you know, I know… You know, ’cause schools are very liberal. This one’s not as liberal as most. But for her to admit that and, you know… I just wanted to hug her. So there’s hope! There’s hope for our country, I think. RUSH: Did you hug her? CALLER: — and she said yes. RUSH: Whoa, whoa, whoa, whoa, whoa, whoa. You’re getting ahead of me here for just a second. We’ll deal with that here in just a second. Did she hug you back, or did she stand there like a statue when you hugged her? CALLER: Oh, no. She was a sweetheart. She really, really was sincere about getting these books in her library because she wants the kids to have access. RUSH: This really is incredible. RUSH: You have a woman who says that she’s a liberal but actually wants these books because she’s heard they’re good. CALLER: And how fair is that, you know? RUSH: How long ago did this happen? CALLER: About four days ago. RUSH: So she doesn’t have any books yet? CALLER: She has the first. I said, “Do you have any of them?” She said she does have the first one, the Brave Pilgrims. CALLER: Oh, no. (chuckles) No. She hasn’t read them. RUSH: They get offended. They get offended where most people laugh. Well, look, I’m gonna deal with this… Rather than attach my normal reaction: “Well, wait ’til she sees it and she’ll reverse all this.” I’m not gonna do that. I tell you what I’m gonna do. If you hang on, I would like to donate the books that you then give to the library. RUSH: I know you’d like to buy them. CALLER: That would be awesome. RUSH: But this way they can come directly from the Rush Revere team, actually the Revere world and so forth. And you know what we’ll do? We will include a Liberty stuffed doll that you can also give to your daughter. CALLER: Oh. That is so sweet. RUSH: In fact, we’ll throw two of them in, if you want to give one to the teacher. CALLER: Okay. Yeah. My daughter actually has that one, the little stuffed animal, ’cause she has everything. She’s a Rush Baby. 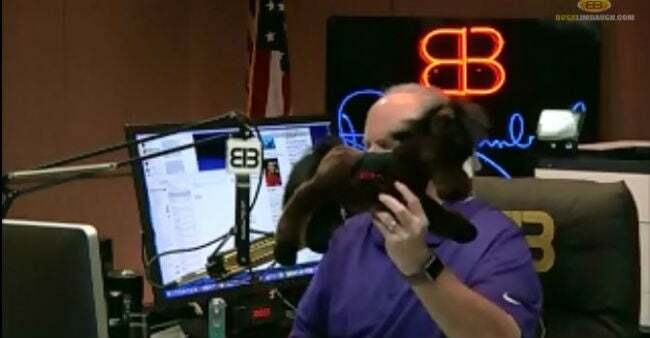 RUSH: Oh, you say, “little stuffed animal.” How big is the one she has? CALLER: Just a small one. RUSH: Well, okay. Now, I’m gonna hold it up here. I know you’re not watching, but the one I’ve got here is probably about a foot-and-a-half long. CALLER: Oh. That’s probably larger than the one she’s got. RUSH: That’s what I thought, yeah. I’m holding it up on the Dittocam right here. It’s Liberty right there. I’m gonna send you a couple of these, okay? CALLER: That is awesome. That is awesome. I told her and I told this librarian, I said, “You know, they’re very… The history is accurate.” So, you know, that’s another important part of the books. RUSH: Well, you know, I could be very cynical and say, “She won’t recognize it, then,” but I’m not. RUSH: No, no. I wouldn’t dare say that. I’m not gonna say that now. This is actually very cool. It’s very sweet. And I’m glad that you got through to tell me. CALLER: Doesn’t that give you hope? I just want to… You know, they’re so… Sometimes you just don’t have hope for this country. CALLER: It’s like they’ll never come around. RUSH: It doesn’t seem like we have anything in common. There’s no way to cross a bridge to the other side. RUSH: They don’t seem to see anything the way we do. CALLER: It’s true. Sure. You just don’t talk. RUSH: Well, this is hope. RUSH: So hang on. We’ll get your address, and we’ll get a whole package of stuff that we send out from the Revere bunch next week to you. CALLER: I think that would be awesome. Maybe I can even get her to listen to you. RUSH: Ha! That would be great, too. CALLER: What do you think? Yeah. RUSH: If you could pull that off — if you could pull that off — that’d be miraculous. Absolutely. CALLER: That would. That would. Well, Rush, thank you very much. RUSH: Now, is the school actually in Denver or are you in suburbia? CALLER: It’s in Lakewood, and it’s actually a charter, and they do — it’s a back-to-basics school. It’s a wonderful school. RUSH: Well, don’t hang up. Don’t hang up so we can get the data that we need to get this package out to you. Thank you ever so much, Susie.